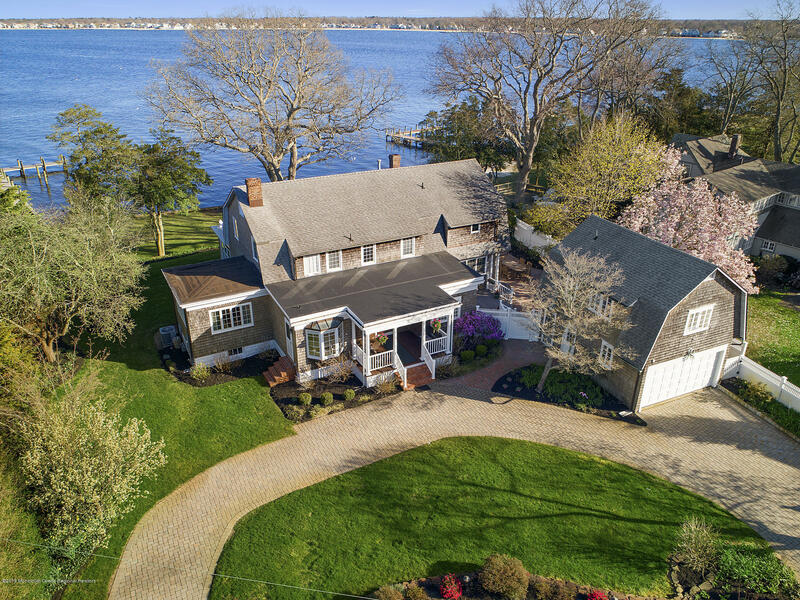 BEAUTIFUL WATERFRONT CLASSIC ON A QUIET PENINSULA in historic Island Heights, the Jersey Shore's best-kept secret. Situated on a hilltop high above the waterline (no flood insurance needed) with sweeping views of Toms River and Barnegat Bay. Features lots of natural light, impeccable landscaping, a vinyl dock and bulkhead, and a new outdoor deck - your front-row seat to sailboat races and spectacular sunrises. Walk or bike to local attractions, including three marinas, a yacht club, a boardwalk, an elementary school, museums, a deli, a bay beach, and myriad cultural events offered throughout the year. A garage apartment makes the perfect office, guesthouse, or teen hangout. Enjoy all the Jersey Shore has to offer- beaches, boating, etc- while living in this charming Victorian community. I would like more information about 10 Bayview Avenue in Island Heights.